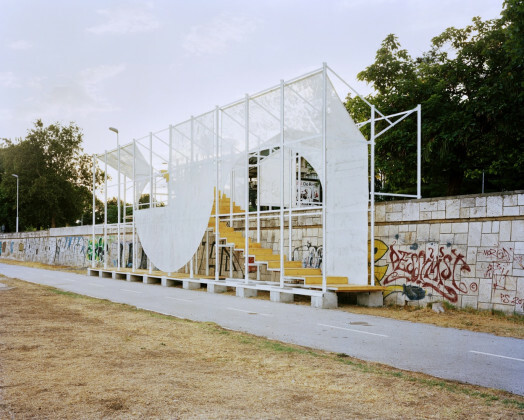 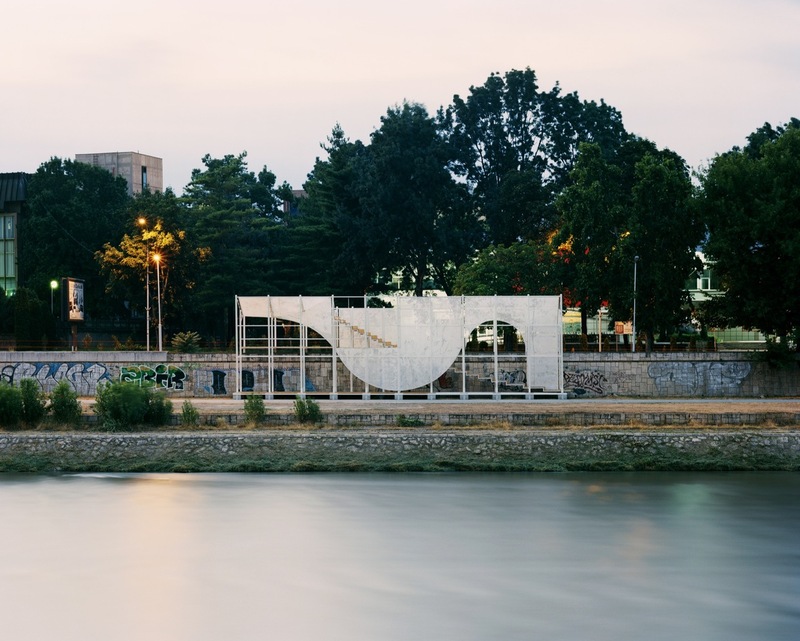 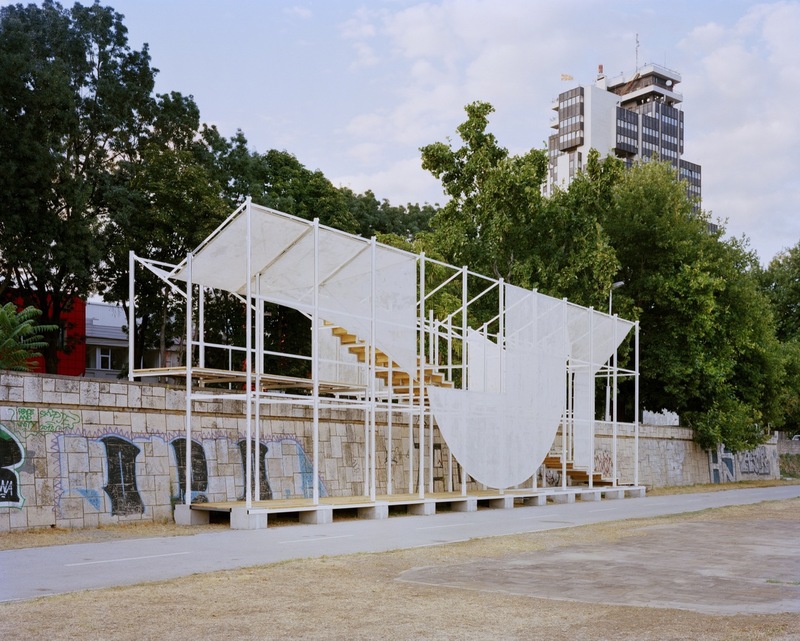 Residents and cultural groups in Skopje in 2015 welcomed an open structure built with the intention of hosting events, talks and gatherings at the banks of the city’s Vardar River. The event space was conceived and realized by a group of architects from the association TEN and a local NGO City Creative Network (CCN). 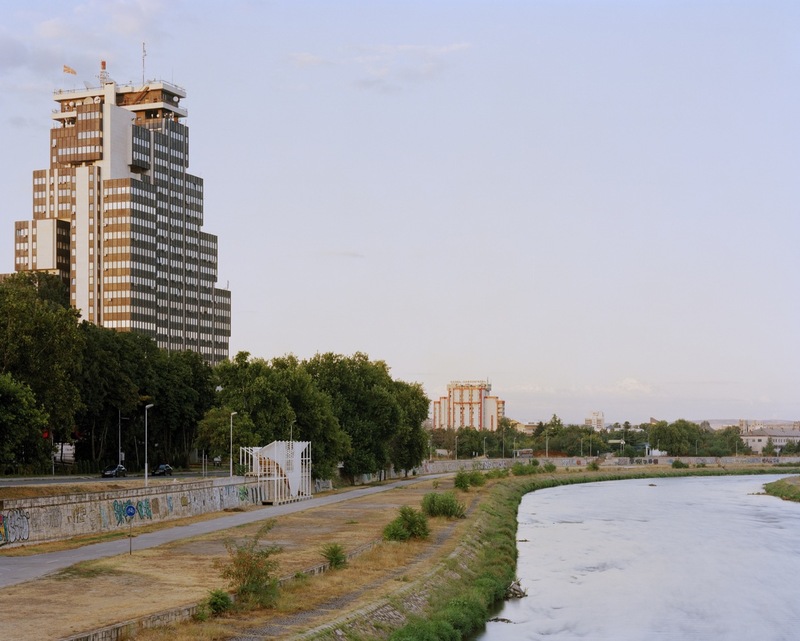 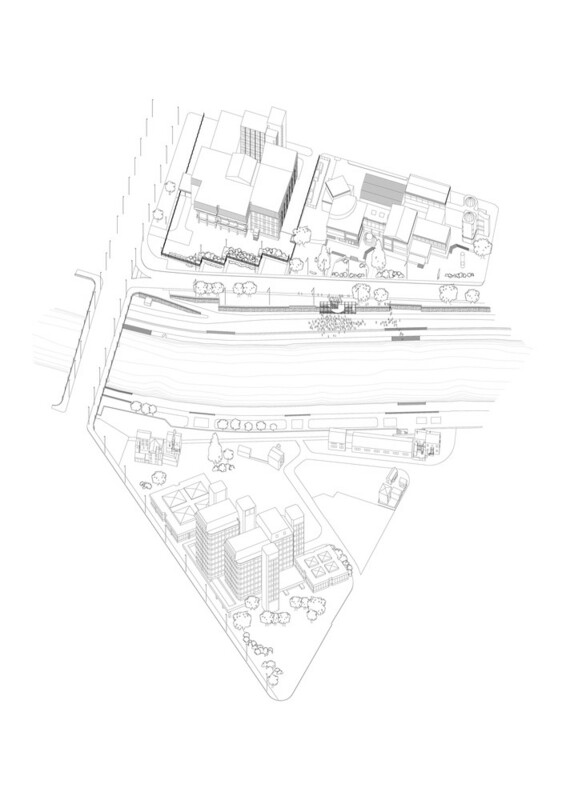 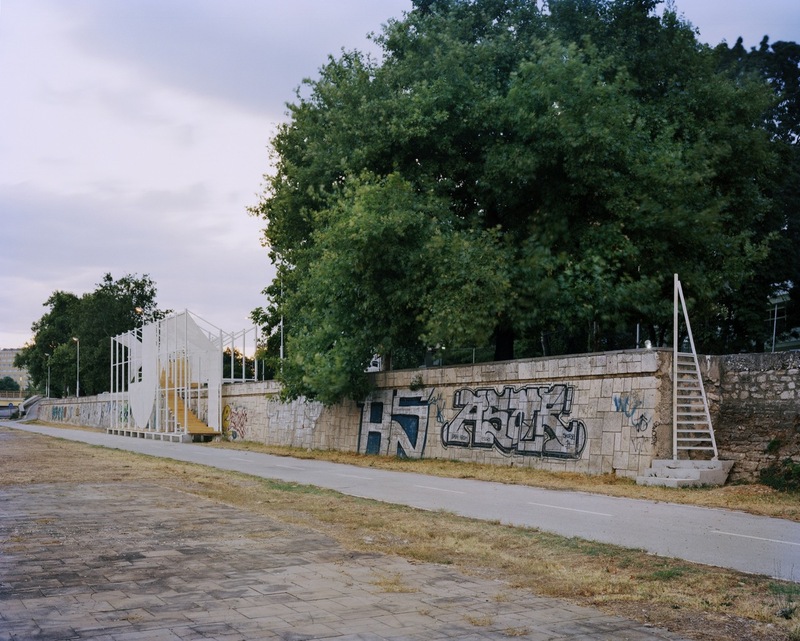 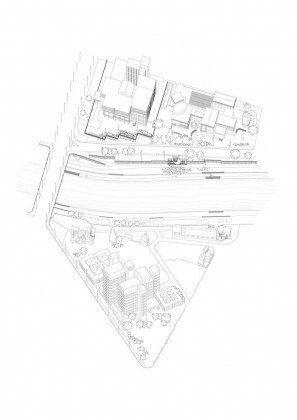 The intervention is placed on the edge of the riverfront close to the city centre, facing the Youth Cultural Center Skopje and Academy of Arts and Sciences. As a piece of urban infrastructure, Nautilus offers a pedestrian connection from the higher street level to the water’s edge, acting as a threshold between road and recreational space with a bicycle lane; and creating new spatial possibilities for facilitating and encouraging cultural events and gatherings on this previously underutilized site. 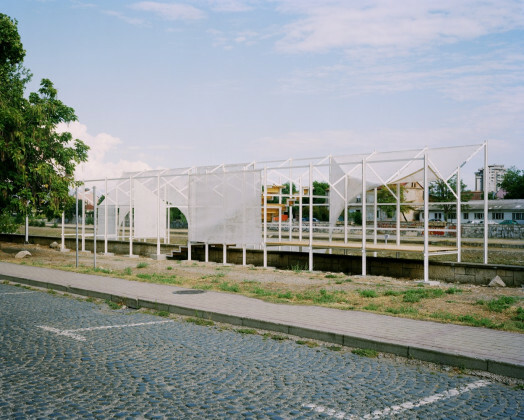 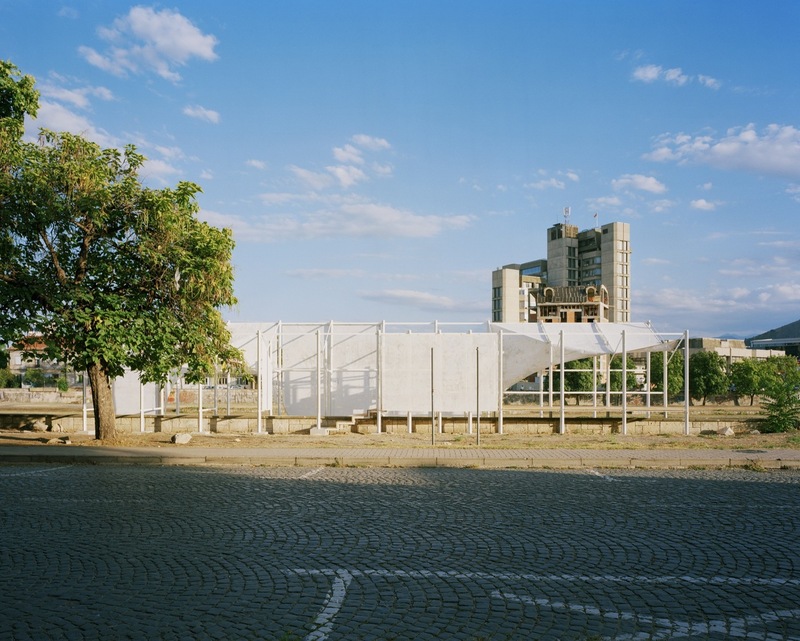 and manufacturers both local and international, group of swiss and macedonian students, and the Swiss photographer Joël Tettamanti who produced a series of city photographs in conjunction with the construction process. 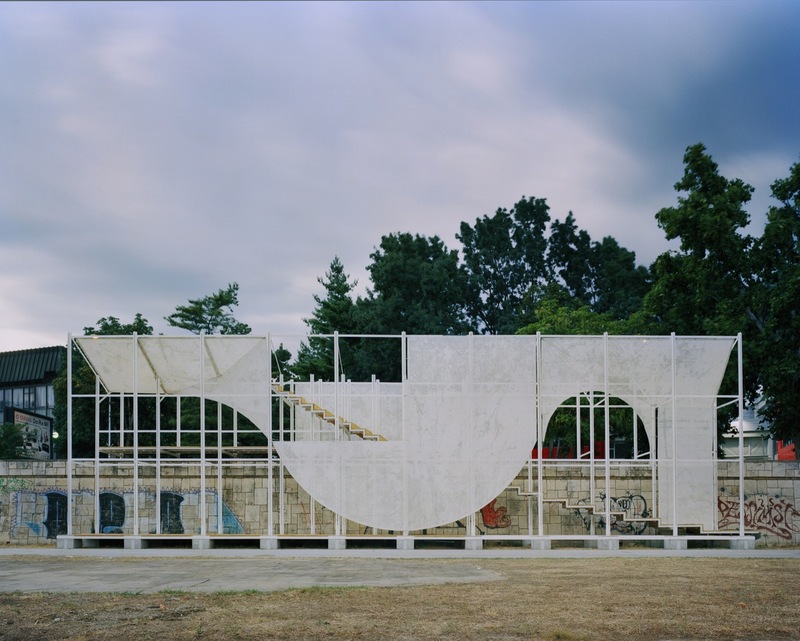 The 20 meter long primary structure of Nautilus is constructed over and around the stone embankment wall, but does not touch it. It is built entirely out of steel and clad in strategic locations with a woven and painted textile developed especially for the project. 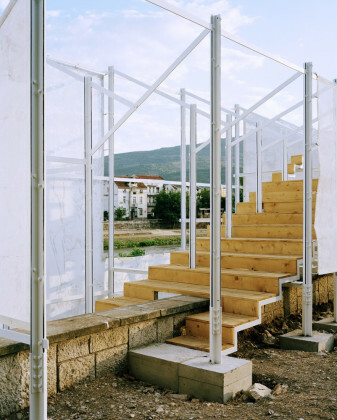 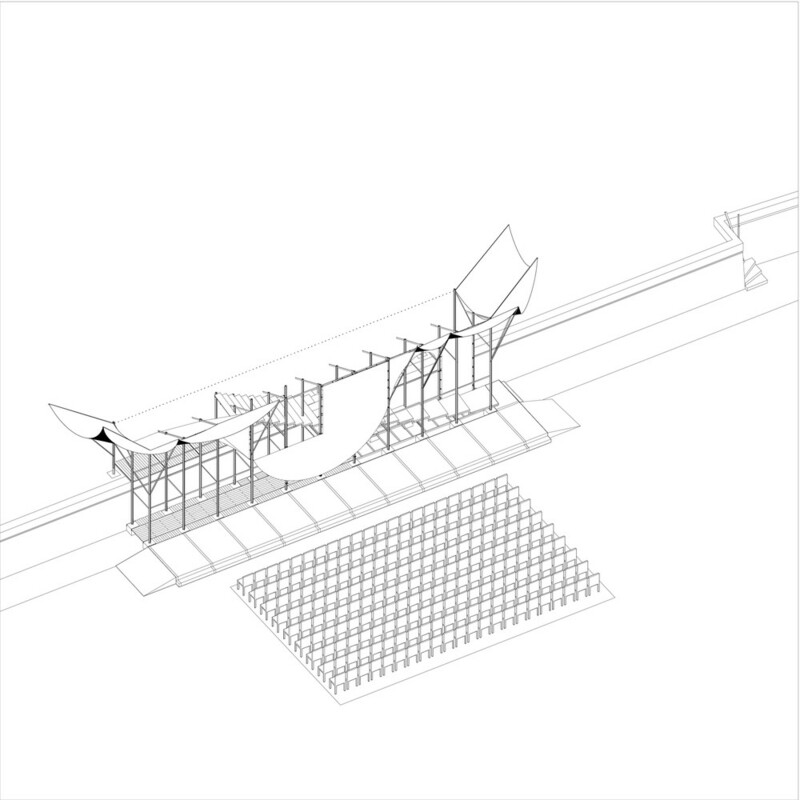 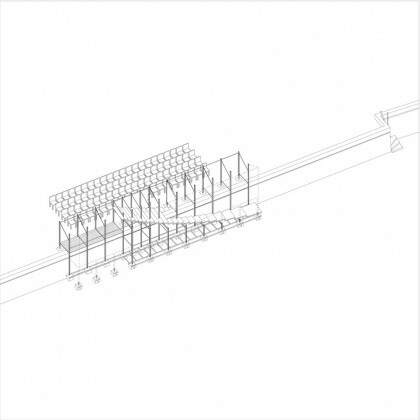 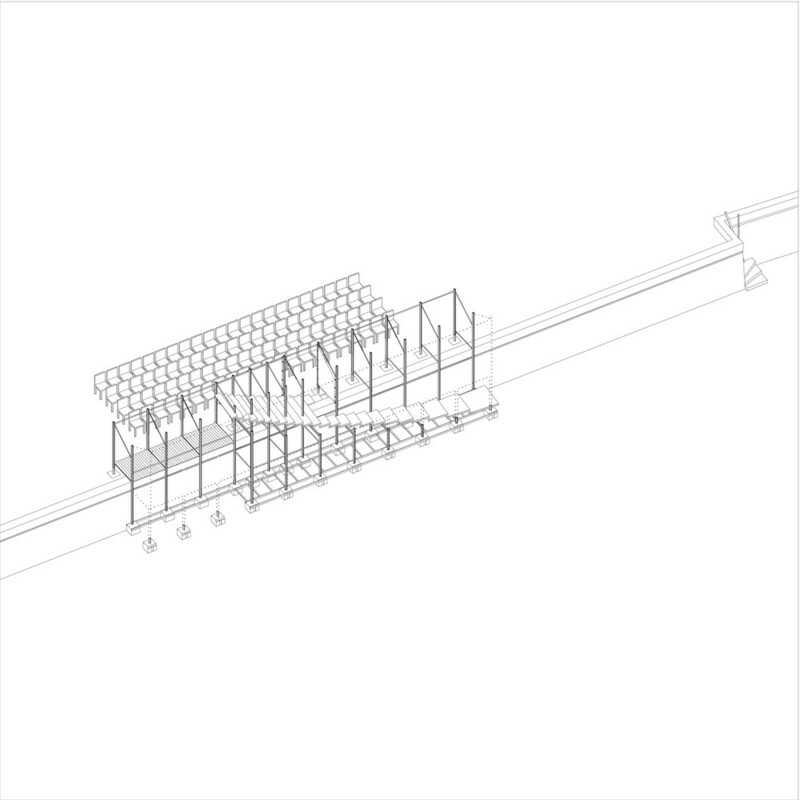 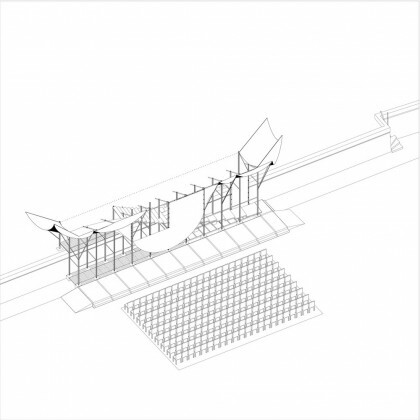 The textile is used as a frame for the site, a projection surface and a delineator of different spaces of transition within the otherwise rigid repeated steel structure. 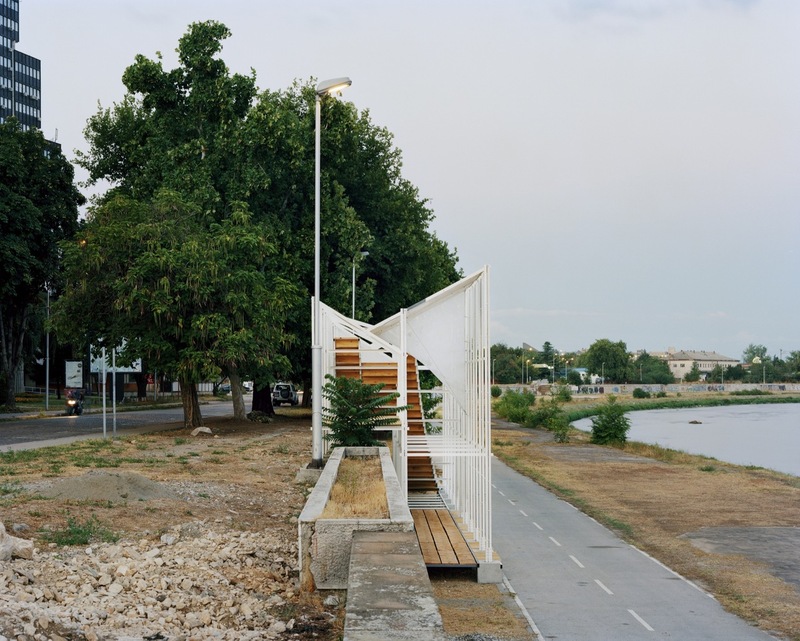 On the riverside, it rises 6 meters above the bicycle path, presenting a tall screen to the water upon which images can be projected; but on the road side its height remains modest and unimposing, inviting discovery and inhabitation. 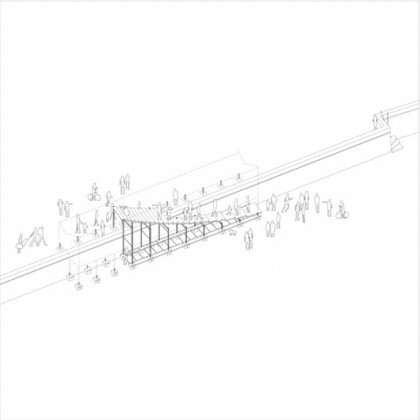 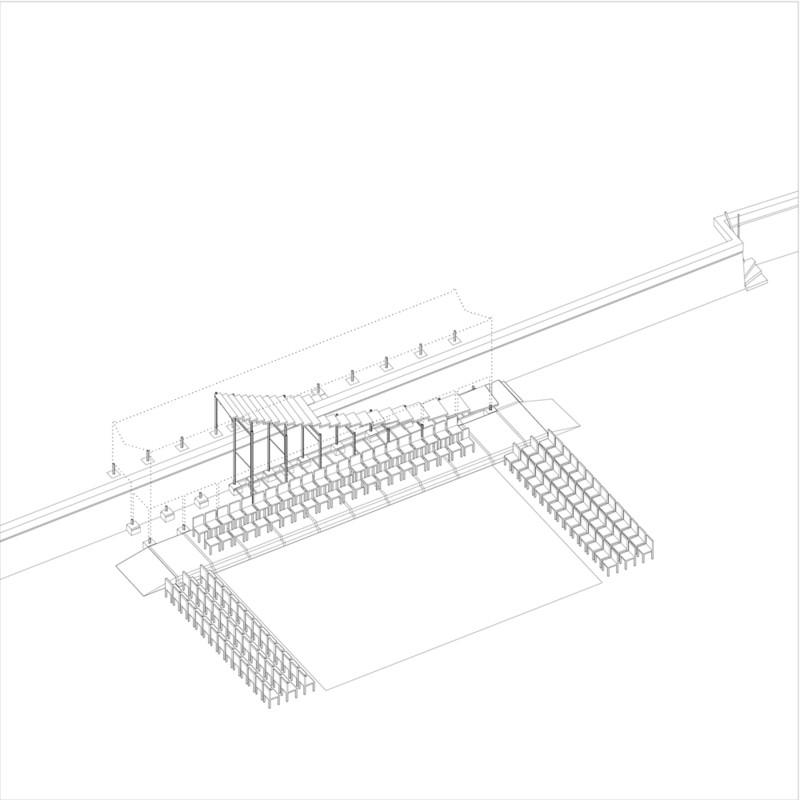 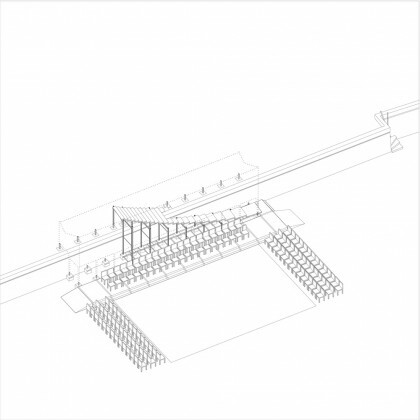 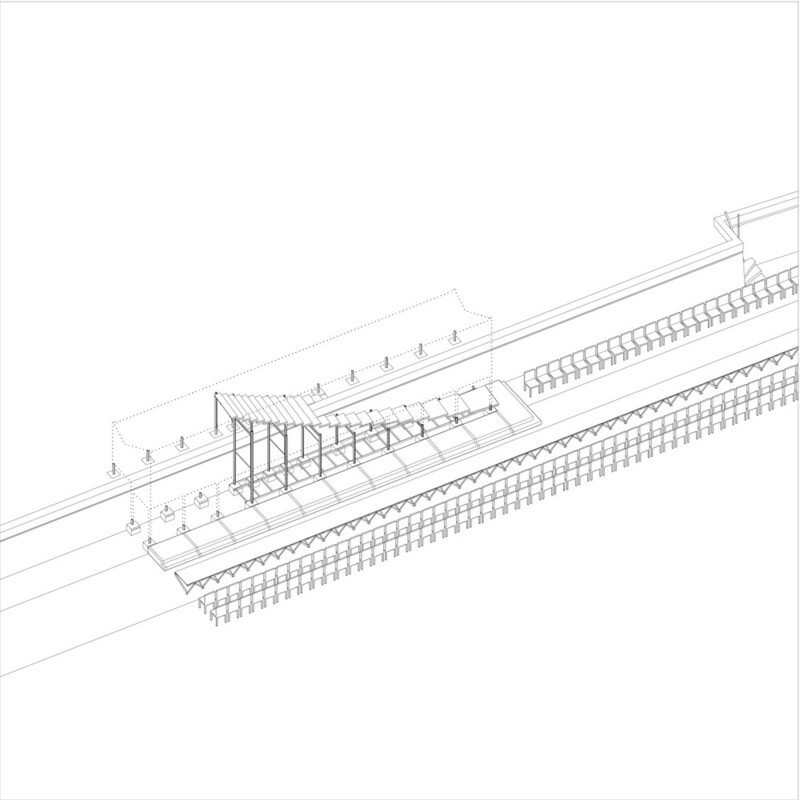 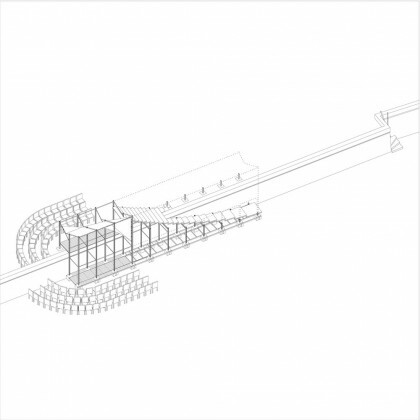 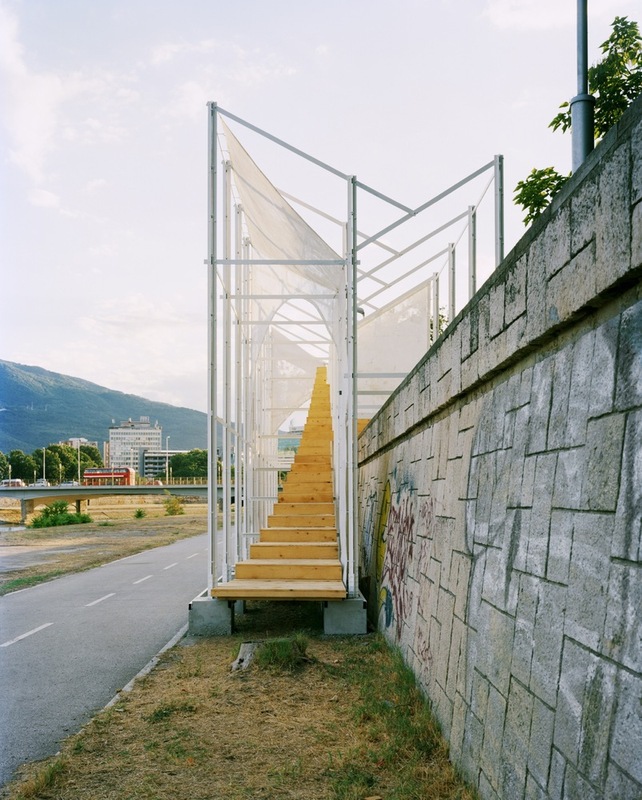 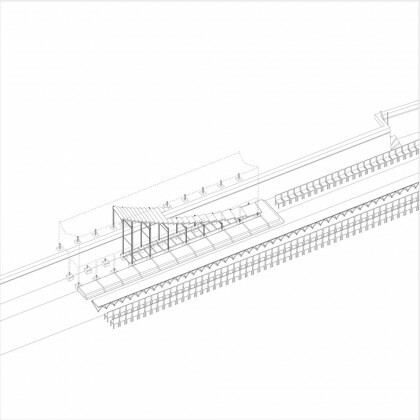 The narrow timber stair set within the primary structure negotiates the 5 meter level change between river and road, acting as the only connective tissue across four different ground levels along the 200 meter long stretch of stone embankment walling. 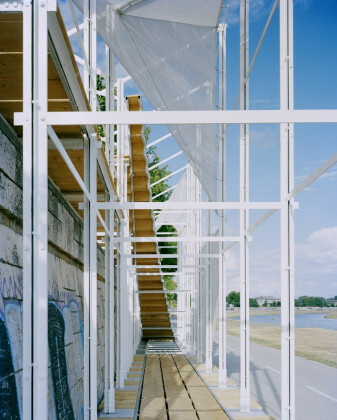 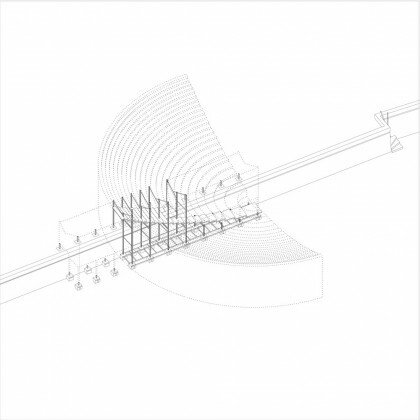 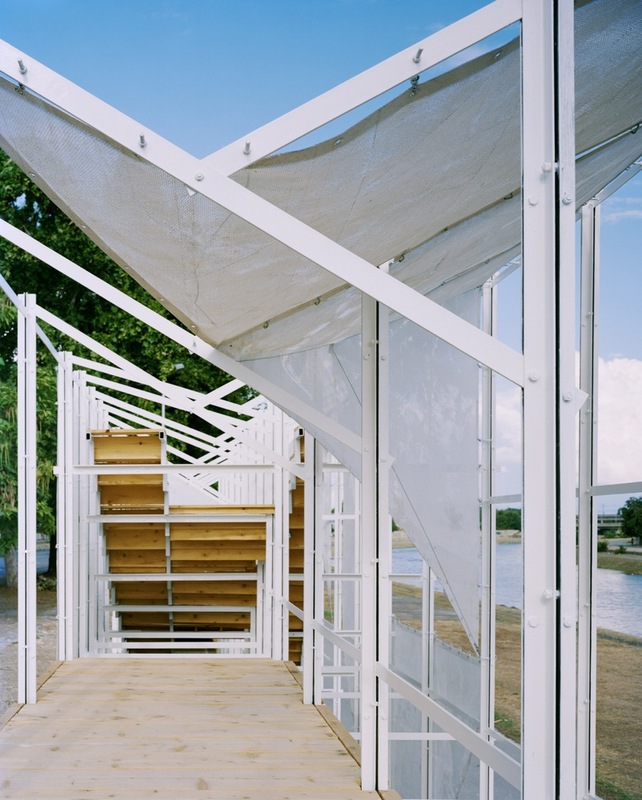 The public stair is enclosed by a canopy which creates a series of spatial experiences within the structure, offering framed views of the river during ascent and descent, and protecting visitors from the hot sun. 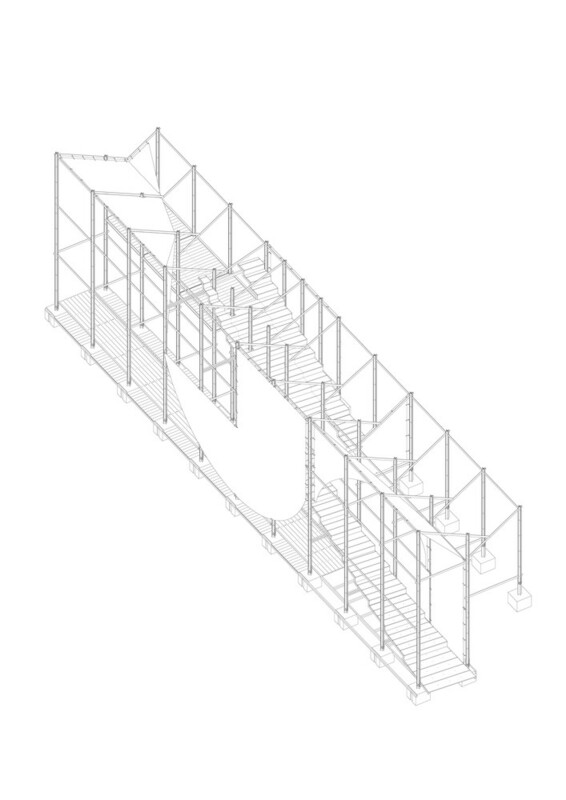 The stairway passage can act as an interior, yet in fact, there is never a clear division between inside and outside. 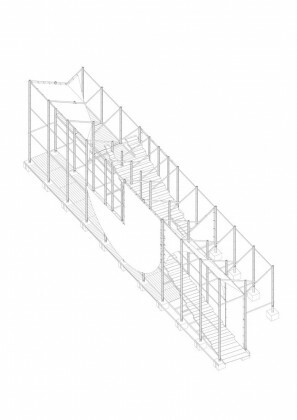 The stair width ranges from 2 meters on the lower ground level (wide enough to sit), to 20 centimeters at roof level (the height at which only animals can perch).